Who said USB tapes were dead? 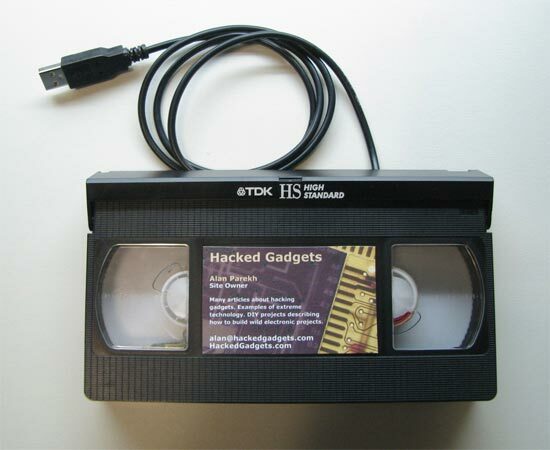 The guys over at Hacked Gadgets have come up with the ultimate solution to recycle all your old VHS tapes and turn them into this cool VHS USB Drive. This fun USB drive uses, and old VHS tape, a USB drive, some LEDs, a recycled DC motor and a small petf board, the total cost to make one is about $15.00, check out the video of it in action below. Very cool!, if you want to make your own head on over to Hacked Gadgets for full instructions.